The author is a theologist of remarkable theological and scientifi c knowledge as well of profound pastoral experience which are implemented in his books. Th e climax of his theologicalscientifi c observation and pastoral activities is manifested by the special hagiotherapy method used in healing the spirit (as well as the soul and the body). Even with its most developed medical specializations medicine is oft en unable to provide help for a person who is in pain or suff ers morally. Nevertheless, the hagiotherapy with its long experience and practice has shown that hagiotherapeutic treatment effi ciently lessens the pain of spiritual nature. Th is book is a comprehensive manual on what makes the hagiotherapy and its achievements in theory and practice. Tomislav Ivančić (born 1938) is a Croatian theologian and academic. Ivančić was born in Davor, Croatia. After the study of philosophy and theology in Zagreb and Rome he was ordained priest of the Zagreb Archdiocese in 1966. After achieving a doctorate at the Papal Gregorian University in Rome, he returned to Zagreb to become professor at the Catholic-Theological Faculty of the University of Zagreb. He is head of the Chair of Fundamental Theology, was one of the editors of the magazine “Bogoslovska smotra” (Theogian’s Review), is member of the editorial boards and associate of many Croatian and foreign theology magazines and member of the Croatian Literary Translators’ Association. Since 1983 he is canon of Zagreb’s Cathedral Chapter. The areas of his scientific work are philosophy, theology and literature. The area of his special interest is the research of men’s existential-spiritual dimension, in which he discovers new possibilities and ways of modern evangelisation and the need of developing spiritual medicine, which - next to somatic and psychiatric medicine - is indispensable in the holistic healing of man, and especially in healing spiritual illnesses and addictions. For this purpose he developed the method ofhagiotherapy and founded the Centre for Spiritual Help in 1990 in Zagreb, which he is the head of. Apart from working at the Faculty, since 1971 Tomislav was also a religious teacher for students in Zagreb, the initiator of the prayer movement in the Church in Croatia, founder of the religious community “Prayer and Word” (Zajednica “Molitva i Riječ”) and the “Centre for a Better World”, as well as lecturer at numerous seminars for the spiritual renewal in Croatia and abroad. In the last decade he has been training persons to work in centres for spiritual help and hold seminars for the apostolate of evangelisation in Croatia and abroad. His scientific and expert articles are published in Croatian and foreign magazines. He wrote more than 50 books, of which almost the half was translated into foreign languages, whereas some have been published only in foreign languages. His book “Follow Me” (Pođi za mnom) was translated in 12 languages. He was editor-in-chief of the magazine “Steps” (Koraci), and then “New Steps” (Novi koraci), as well as founder of the magazine “Hagiotherapy” (Hagioterapija). From 1998 until 2001 he was dean of the Catholic Theological Faculty of the University of Zagreb. In September 2001 he was elected rector of the University of Zagreb, but he resigned in December 2001. On 9 February 2004 Pope John Paul II designated him member of the International Theological Commission, presided over by the Prefect of the Congregation for the Doctrine of the Faith, Joseph Cardinal Ratzinger, today’s Pope Benedict XVI. Ivančić is author and host of a very popular radio program “Lord, teach us to pray” which is broadcast during the academic year. 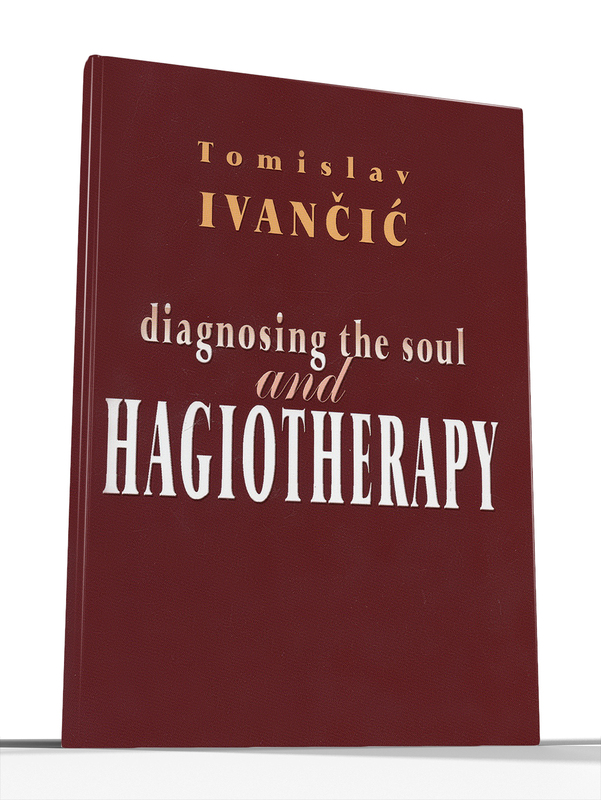 This is a hardcover edition of Diagnosing the soul and Hagiotherapy by Tomislav Ivancic. it has been tranlated from the Croatian by Jenet Berkovic. it says 2006 and 2010 and 2nd edition on the inside and 3rd revised edition on the outside. it is in like new condition, from a smoke free home. It has over 500 pages. Feel free to use the ebay zoom feature on the pictures, to read the chapter info. Prijevod 3. dopunjenog izdanja iz 2006.